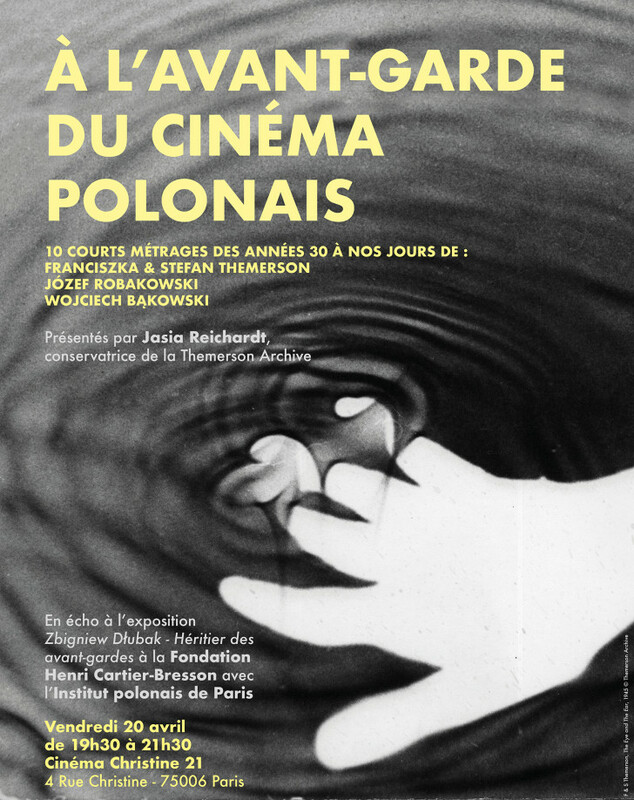 Linked to the exhibition « Zbigniew Dłubak – Heir of the avant-gardes », the Fondation and the Polish Institute organise a screening of short films. This night will show three generations of experimentals Polish filmmakers : the pioneers Franciszka et Stefan Themerson, Józef Robakowski founder of the “Atelier de la Forme Filmique” and the representative of the emerging scene : Wojciech Bąkowski. With Jasia Reichardt, critic, art historian and curator at the Themerson Archive in London. Friday 20 from 7:30 to 9:30 pm – Christine 21 cinema in Paris. 8 € (full price) 6 € (half price) UGC cards accepted. The films will be broadcast in Polish and/or English languages and a translation in French will be proposed with the program.